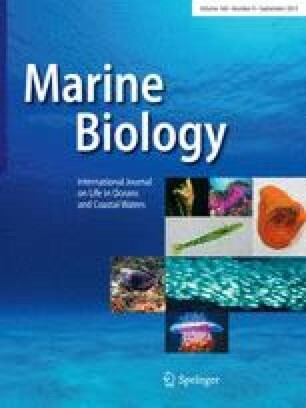 Our study examines the potential impact of the European green crab Carcinus maenas on communities of coastal embayments of western North America. We document the current distribution and range expansion of this species beyond San Francisco Bay, where C. maenas first became established along this coast in 1989–1990, and we test the effect of C. maenas predation on different species and sizes of infaunal invertebrates in field and laboratory experiments. In our samples from eight coastal locations in central California collected between June 1993 and May 1994, we found no green crabs at the two closest embayments south of San Francisco Bay and found the crabs in all four embayments sampled within 120 km north of San Francisco Bay, up to and including Bodega Harbor. C. maenas was not present in samples from sites farther north. This northward range expansion is apparently the result of larval recruitment by a single cohort, corresponding to the predominant northern transport of surface waters and the approximate distance water moves during larval green crab development. At Bodega Harbor, the current northern range limit, the C. maenas population is now well established and reproducing. Females and males became sexually mature within their first year at ≃40 mm carapace width, molting approximately monthly from summer through fall, and females were ovigerous in late fall of their first year at ≃50 mm. We expect larvae from this population to recruit locally and to the north, promoting episodic range extensions as new populations are established and reproduce. Enclosure experiments conducted during the summer of 1993 at the intertidal sandflats of Bodega Harbor showed that C. maenas significantly reduced densities of the most abundant taxa, including the bivalves Transennella confusa and T. tantilla, the cumacean Cumella vulgaris, and the amphipod Corophium sp. Furthermore, Carcinus maenas selectively removed larger (>3 mm) rather than smaller (<1 mm) Transennella spp. in both field and laboratory experiments. Based on the available data from this and other studies of green crabs, and our 10 yr study of community dynamics at Bodega Harbor, we predict C. maenas will significantly alter community structure, ecological interactions, and evolutionary processes in embayments of western North America.